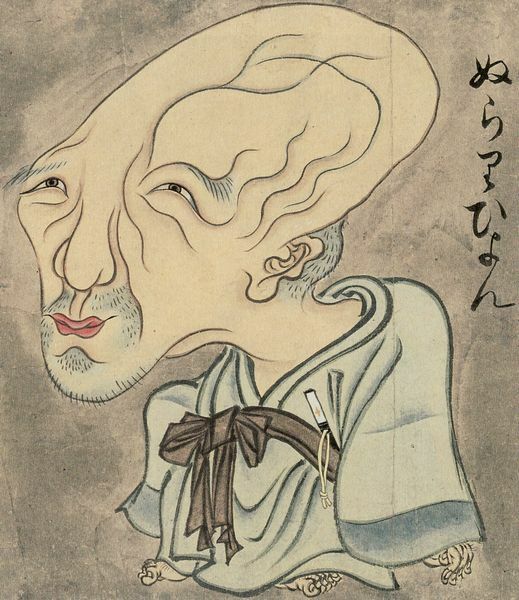 The Yōkai Sōdaishō, Supreme Commander of Yokai. The leader of the Hyakki Yagyō, the Night Parade of 100 Demons. The King of the Chiryomoji, the Spirits of Earth and Air. In modern Japan, Nurarihyon is a yokai of many grand titles. All of which obfuscate his origins and a humble sea monster, floating in the Seto Inland Sea. The confusion over Nurarihyon starts with his name. It is most often written in hiragana only, as ぬらりひょん, which gives no inherent meaning. There is kanji that can be used, 滑瓢, combining 滑 (namera; slippery) + 瓢 (hyo; gourd) giving you something meaning “slippery gourd,” but it is thought that this kanji was added later to match the name. Old accounts of Nurarihyon only ever use the hiragana. 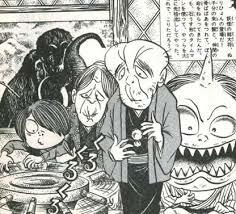 There is a further confusion as to the correct name for this yōkai. Some accounts speak of a creature called Nurarin or Nurihyon instead of Nurarihyon. The best guess is that in the past these were separate yōkai, but merged over time due to the similarities of their names. The oldest accounts of Nurarihyon—and the ones that owe more to folklore than commerce—come from Okayama prefecture. Nurarihyon is described as a type of Umi Bozu, The “slippery floater” of these legends is described as a bulbous mass that floats on the Seto Inland Sea, eternally bobbing up and down between the surfaces of the water. This Nurarihyon is thought to be a yōkai version of the jellyfish called the Portuguese Man-o-War. Some consider it to be a “baby umi bōzu” that eventually grows up into the full-sized monster. The ukiyoe-zoshi Koshiki Haidokubara (好色敗毒散) has a one-sentence mention of Nurarihon. 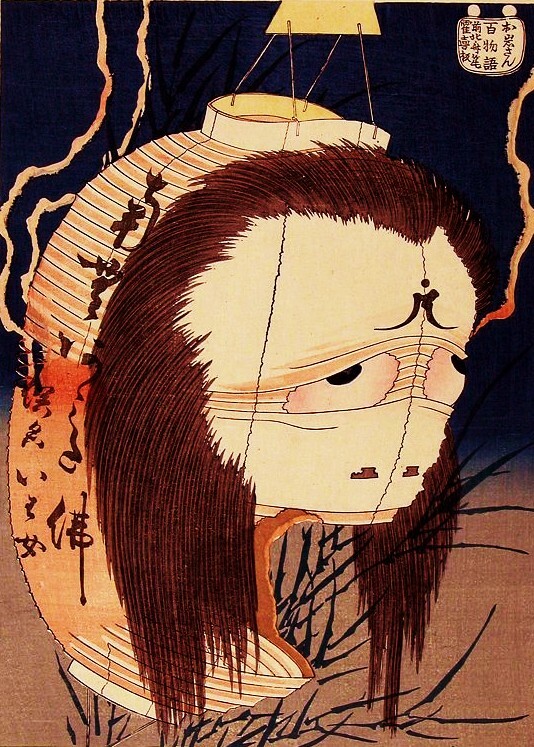 There isn’t much to go on, but this account places Nurarihyon in the realm of the faceless yōkai like nopperabō. The “catfish” portion shows that at this time Nurarihyon was still considered a sea creature. The evolution of this version of Nurarihyon is unknown. It is thought to rise from Toriyama Seiken, who drew Nurarihyon as an old man with an oversized head, draped in a fine kimono and stepping out of a fancy palanquin into a home for his Gazu Hyakki Yagyo (Illustrated Night Parade of 100 Demons). 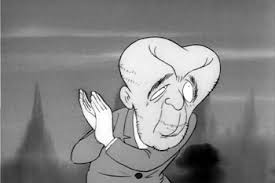 In Murakami Kenji’s Yokai Dictionary, he says that the modern appearance of Nurarihyon is entirely and invention of Toriyama. In fact, Murakami notes that Toriyama didn’t intend for this to be Nurarihyon at all, and titles the character “Nurihyon.” Toriyama didn’t include any story or explanation of his yōkai, just the word “Nurihyon” next to his illustration. As is common with yōkai, Toriyama’s version of Nurarihyon became the standard image. All artists to follow copied his style. Nurarihyon appeared in a few yōkai collections, such as the different versions of the Bakemono Zukushi (化物づくし) and the Yōkai Zu-maki. These started out as direct copies of Toriyama’s illustration, eventually moving on to heavily stylized images of an old man with a massive head wearing a fine kimono. 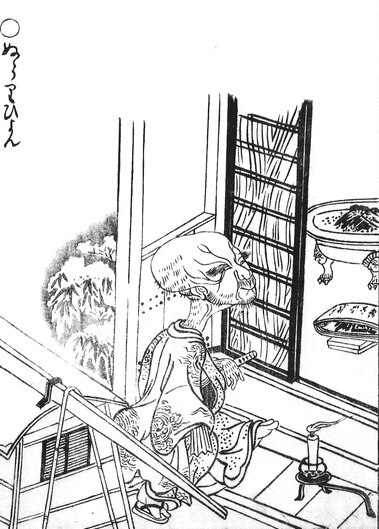 Toriyama’s image of a wealthy yōkai showing up in his fancy palanquin, as well as descriptions of Nurarihyon as a spirit of deception, must have inspired writers to bring the two together into the role of the unwanted houseguest. Nurarihyon the Supreme Commander of Yōkai? In addition to the description above of the unwanted houseguest, the 1970s yōkai encyclopedia Ichiban Kuwashi Nihon Yōkai Zukan (いちばんくわしい日本妖怪図鑑; Most Detailed Illustrated Encyclopedia of Japan’s Yokai) includes this addition. The idea of Nurarihyon as a leader of yōkai is a modern one, coming from the manga era not the ukiyo-e era. During the Edo period, the Yōkai Sōdaishō was often considered to be the massive Mikoshi Nyudō. In some stories, Mikoshi Nyudō was married to the long-necked courtesan Rokurokubi, and their child was the Tofu Kozō. 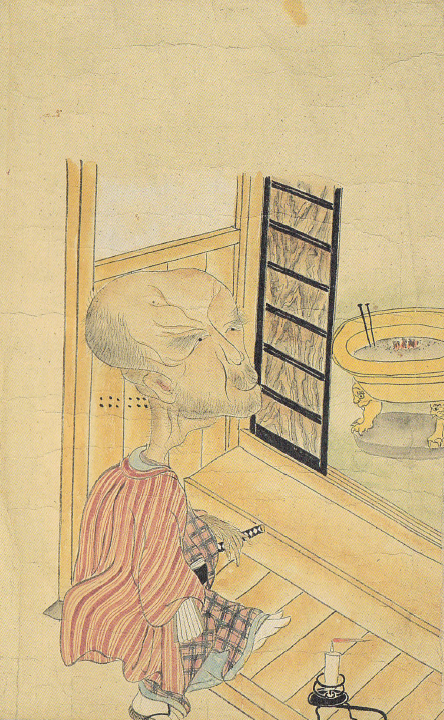 Nurarihyon was a relatively unimportant yōkai. Mizuki Shigeru’s influence on yōkai lore is no less than Toriyama’s, and so Japan accepted Nurarihyon as the leader of all yōkai, a position he still occupies in the country today. Nurarihyon the Leader of the Hyakki Yagyō? One of the most illogical titles given to Nurarihyon is that he is the “Leader of the Hyakki Yagyō.” I say illogical, because all you have to do is look at the old Hyakki Yagyō picture scrolls to see that—not only is Nurarihyon not the leader of the night parade—he doesn’t even appear. As a concept, the Hyakki Yagyō (Night Parade of 100 Demons) comes from the Heian period (794-1185), with the illustrated scrolls that first gave yōkai their individual shapes and personalities appearing in the Muromachi period (1337-1573). 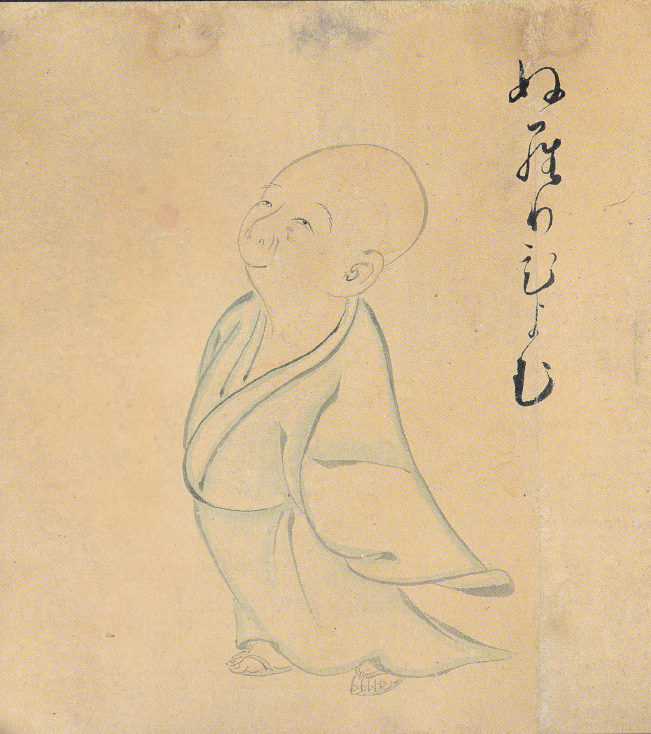 Toriyama Seiken’s original illustration of Nurarihyon did not appear until 1776, centuries after the mania for Hyakki Yagyō picture scrolls had disappeared. 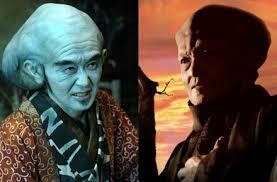 Even then, there is no leader of the Hyakki Yagyō. The twist ending of the night parade is that the end of the parade is almost always the rising sun. The yōkai flee backwards against the light of the sun, forming a loop. 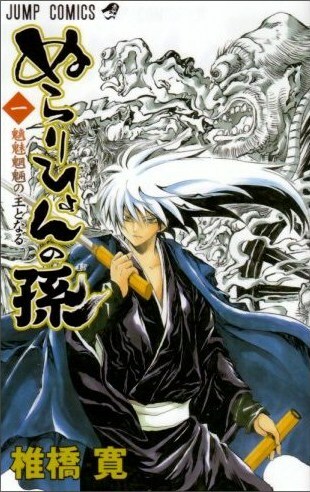 The origin of this title seems to come from the manga Nura: Rise of the Yokai Clans which depict Nurarihyon as a clan leader who organizes the night parade to march under his banner. Wow! It has been far too long since I posted a new entry! I have been incredibly busy recently working on all sorts of projects, which hasn’t left me as much time as I would like to post new entries to hyakumonogatari.com. But thanks to everyone for patiently waiting!!! I got interested in Nurarihyon as he is one of the main characters in the yōkai comic Wayward that I work on. (From Image Comics! You should totally check it out!) It is almost taken for granted that Nurarihyon is a leader amongst the yōkai, but I couldn’t find anything to support this in any of my Edo period books, so I went searching for answers. I was surprised to find that this was almost entirely an invention of Mizuki Shigeru. It shows just how influential his work is in Japanese yōkai culture! And if you are curious as to what I have been up to (aside from my long-delayed book Yurei: The Japanese Ghost … sigh … thanks everyone for the preorder, and I apologize for the delays … ) check out some of the following!